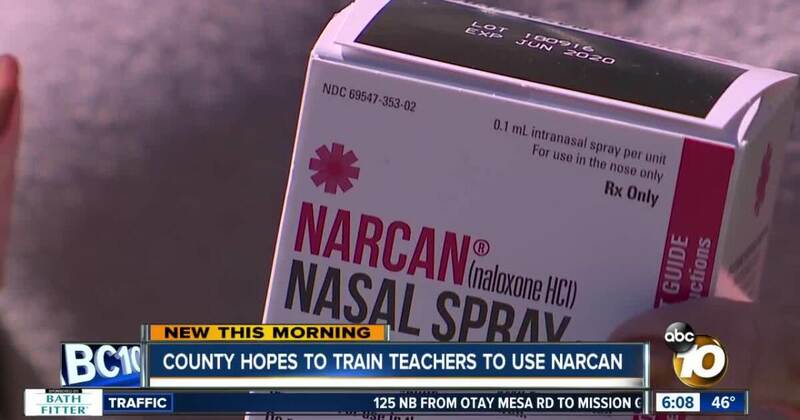 San Diego County teachers may add another item to their to-do lists – learning how to save a student from a drug overdose. Jared Aarons explains how it can save lives. The County Office of Education is looking into training every teacher to use Narcan, a drug that can reverse the effects of an overdose. They say its a necessary step as opioid use grows.